Iceland is so full of beautiful and unique natural treasures that you may wonder whether it’s worth spending a whole day on the same trail. 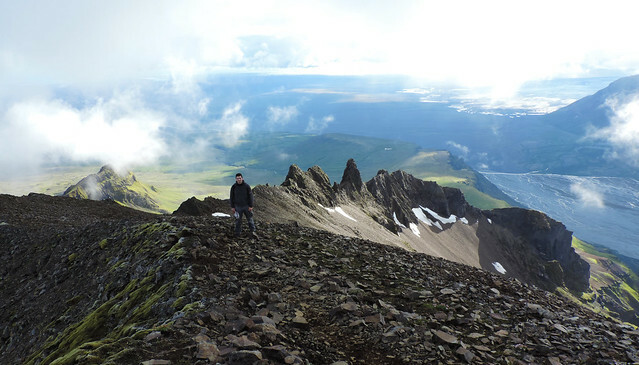 As for us, full day hikes were important part of our Iceland itinerary. 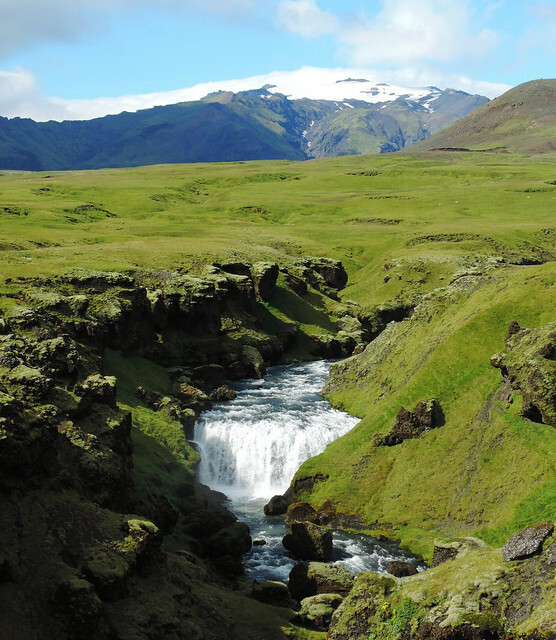 We are passionate hikers anyway, and how could we not experience some of the famous day hikes when we visit a country like Iceland? Though our travels in general help us getting disconnected from our everyday lives, this applies even more to full day hikes. The solitude and harmony we experience on these hikes make those days shine bright. So as it happened in Iceland. In addition, the day hikes we did there amazed us literally after each new step. Of course, full day hikes require time. That’s the main reason we spent 2 and a half weeks in Iceland. Also that’s why we chose summer to visit when all the hiking trails are open. We are so happy we did. 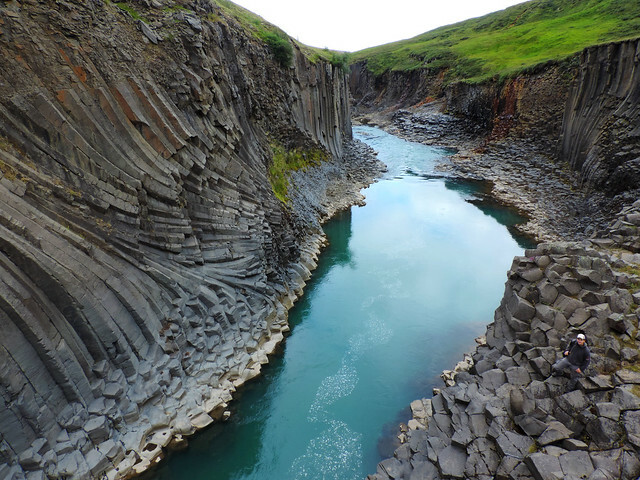 Jökulsárgljúfur is the deepest and one of the largest canyons in Iceland with its 25 kilometres length. 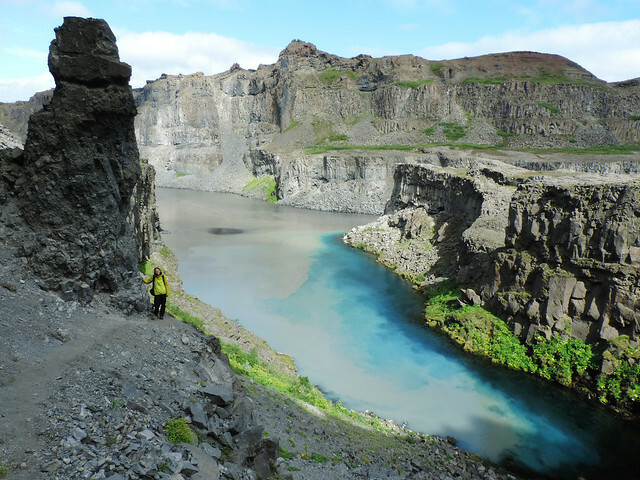 Though hiking all along Jökulsárgljúfur takes multiple days, there’s a day hike option to get a taste of it: the loop from Dettifoss to Hólmatungur. It starts at two amazing waterfalls, Dettifoss and its smaller sister, Selfoss. Dettifoss is said to be the most powerful waterfall in Europe. Only when we got really close to it then we understood why it deserves to be nicknamed as ‘the Beast’ (vs ‘the Beauty’ as people often refer to nearby Goðafoss). 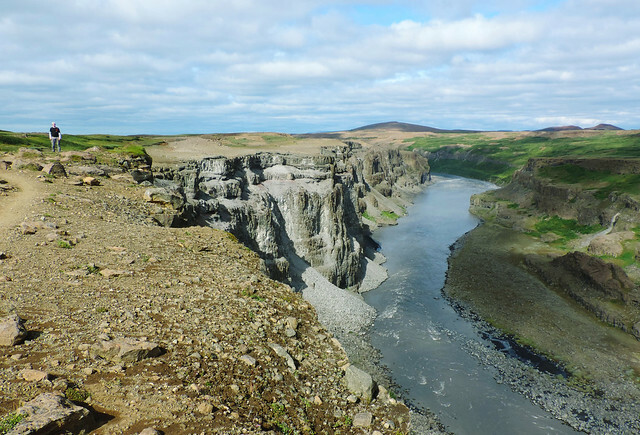 After spending some time at the viewing platform we soon climbed down into Jökulsárgljúfur canyon and we hiked through the Hafragil lowland. This was the part when we truly felt the giant size of the canyon. Then we reached the next waterfall: thundering Hafragilsfoss. 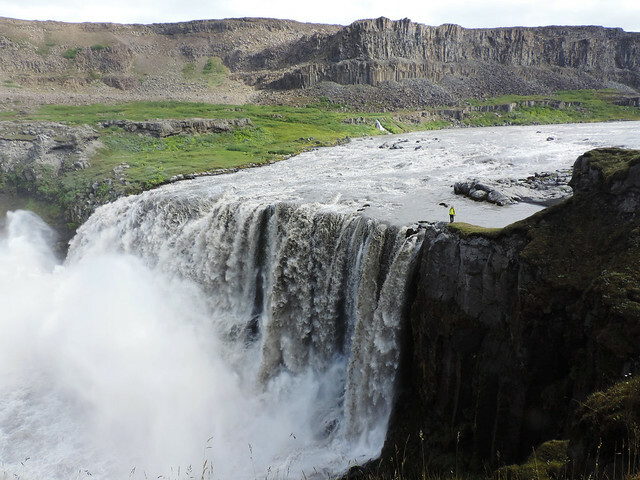 We found it even more impressive than Dettifoss – probably because we could get a bit closer. Hafragilsfoss has a single drop of 27 meters and an average width of 91 meters. Its power and wild beauty left us speechless. And we had it all to ourselves. Not long after Hafragilsfoss we climbed up to the top of Jökulsárgljúfur canyon and we hiked at the edge of the canyon on the way back. Eastern Iceland is probably the least known region in the country. So as the hike to Stuðlagil canyon. As a start, the trail itself is not so easy to find and to follow. Actually, we rather just followed our GPS when we couldn’t recognize any trail. But what a wonderful reward we got! It was the most turquoise water and the most perfect basalt columns we’ve found in Iceland. 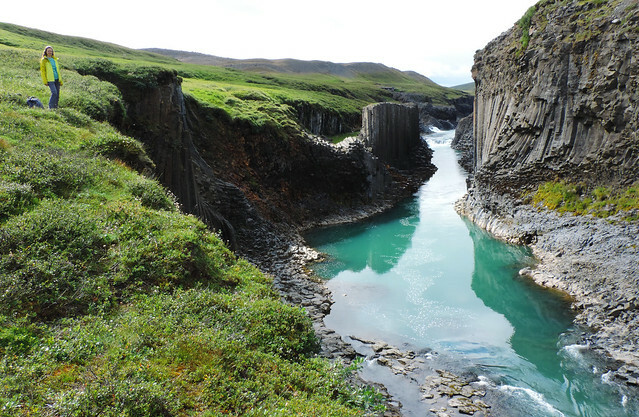 Stuðlagil canyon reflects the incredible power and beauty of nature. And we were all alone in this wonderland. But before I keep on ranting about it… actually, we’ve already written a detailed guide that you can read here. We wanted to hike in the Skaftafell area in Vatnajökull National Park. It’s a dramatic landscape with glaciers and snow-capped peaks, and we chose the trail to Kristínartindar peak to explore it. Starting at Skaftafell Visitor Centre we soon passed Svartifoss, a lovely waterfall with black basalt columns. The trail continued with wonderful views and we crossed lush green meadows. Then it got steeper, especially in the last section of the route to Kristínartindar – that’s only open in the summer. 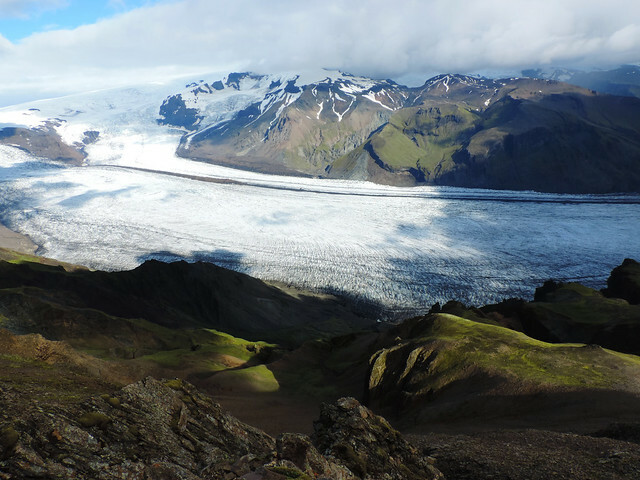 It was hard to pay attention to our steps and not to get distracted by the views as Skaftafellsjökull glacier appeared below us and we got broader and broader panorama of the surrounding peaks. We were also grateful for the long summer days in Iceland so that there was no need to hurry with this long, strenuous and tremendously beautiful hike. We wouldn’t recommend the last section of the route to anyone fearful of heights though. Finally, our beloved epic failure: Fimmvörðuháls. 😀 It’s a popular hike and it’s hard (though not impossible) to do it in one day. In that case you need to take a local bus to get back from Thórsmörk. 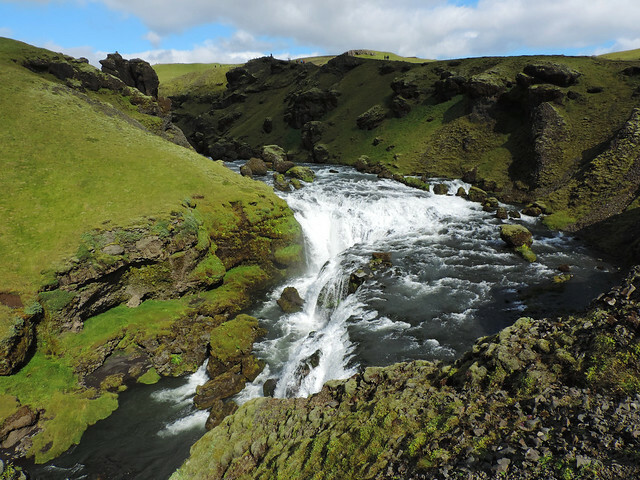 Knowing that we will pass 26 waterfalls on the way (= tons of time to marvel at the waterfalls and even more to take pictures of them), we haven’t even planned to do it all the way to Thórsmörk. We would have hated to hurry on a trail like this and we enjoyed every step of it – this was how it was the most perfect for us. I’d actually recommend this trail to anyone. Even if you only do a very short section of it, it will be fabulous! 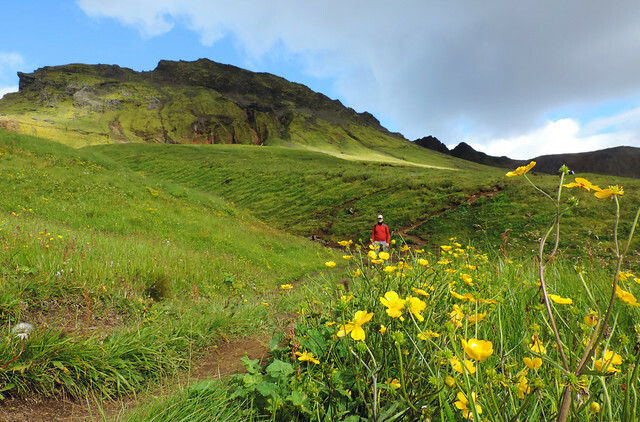 Do you have a favorite hike in Iceland?